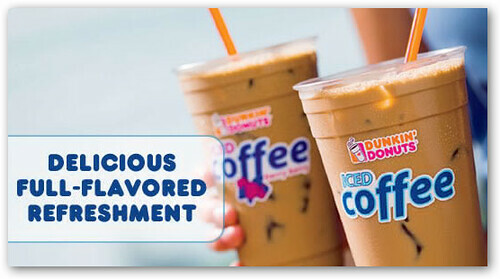 Dunkin' Donuts is celebrating its second annual Free Iced Coffee Day by giving you a free 16 oz. iced coffee of your choice today, May 15, 2008. They expect to give away more than 4 million cups of iced coffee today. The offer lasts from 10 a.m. to 10 p.m. today so you can get multiple caffeine hits throughout the day. Find a participating Dunkin' Donuts store. If free coffee isn't enough, you can also get free McDonald's chicken sandwiches today.